There is a lot of chatter about the good, the bad and the ugly. So who exactly does the oil boom impact? For starters, developers and anyone in the construction industry are in high demand and flocking to the state from near and far. Housing, retail locations and restaurants are a must with the growing population numbers. Money and workers are flowing into towns, and the need for construction and commercial developers is an immediate need. It’s no secret that the oil boom is driving large amounts of economic development in the state. Needs in the community development area have skyrocketed, as overall population has grown 9.3 percent in just one year. With workers arriving in droves, many towns have doubled in population in the last three years and will most likely double again in the next three years. With all of the growth in population comes a strong need for a solution to the housing shortage. Commercial and residential developers arrive daily with high hopes of creating a solution to the much-needed housing and commercial development shortage, but the question remains — can they keep up? With the increase in drilling in the state, the U.S. EPA will be constantly concerned about waste materials from oil drilling. Potentially radioactive materials and oilfield waste are top concerns of the EPA. Oilfield waste includes drill cuttings and fluid waste with toxic chemicals used in the hydraulic fracturing process. Oilfield waste has increased just as quickly as oil production. It’s up to local and national environmental protection agencies to ensure everyone adheres to all the regulations to keep residents and the environment safe. The EPA has decided to classify oilfield waste as non-hazardous, leaving regulation at the state level, but the agency is keeping a close eye on the process. Last year, 1.75 million tons of oilfield waste went into landfills. With the oil boom in North Dakota still in its infancy, local health departments and other agencies are slowly but surly forming regulations and no permanent damage arises. Oil and gas companies are not the only ones directly impacted by the boom. 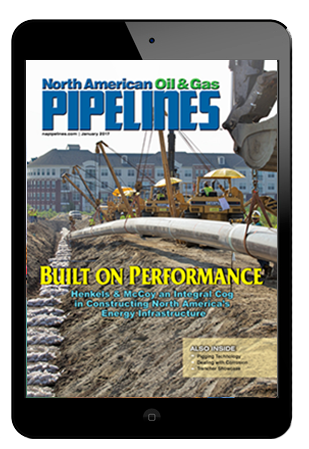 Oil industry suppliers, like Cut & Couple, which provides the industry with hydraulic fracturing hoses and other materials, have been watching like hawks to gauge supply and demand changes related to the North Dakota oil boom. Supplies will be in a large demand, and ensuring the companies working in the region are properly equipped is a key to success. Steel piping producers are another example of an industry positively impacted by the oil boom. Even the clothing industry is getting a piece of the pie. Many retailers are working on creating new products tailored specifically to the oil and gas workers. A dramatic increase in the overall number of workers has led to a subsequent increase in the amount of clothing and protective wear needed by the growing labor force. With more work in the oil fields, families are opting to make North Dakota a permanent home. This is creating more women looking to join the work force in the area. At first, many women stayed behind waiting to see if the oil boom would become a more permanent opportunity. As more and more men are receiving full time jobs in North Dakota, a year later many of their families are coming along to live permanently as well. Various needs in the job force such as administrative services, human resources and management roles are beginning to emerge at high rates. Women who move permanently with their families to North Dakota are experiencing a warm welcome in the workforce and are receiving higher than average compensation. With new construction, larger population growth and more businesses being attracted to the area, opportunities are surfacing for professional women in the workforce. For those who already have their roots planted in North Dakota, the boom has brought prosperity. But some say it’s a mixed blessing. It’s no secret that the rise in oil production has brought in excess taxes that have transformed the state by dumping money into local museums, universities, hospitals and charitable causes. Many young people are headed to North Dakota to further their careers, strike rich and capitalize on the opportunities the oil boom has brought. This undeniable positive growth has come with a cost. The population growth to some is described as unmanageable at best and has caused a trickle down of issues elsewhere. Lack of health care, schooling options, housing and adequate water systems is just the beginning. Job openings do not match the speed of housing being added to the area, causing rent and purchasing prices to skyrocket. For example, Williston Public School District No. 1 has reported more than 100 homeless students due to the lack of affordable housing options for local workers. It’s undeniable that the boom has come with a large amount of good and bad for the communities. Endless money, opportunity, jobs and wealth have poured in to the once sleepy and quiet state. On the other side of the oil boom are overcrowded towns, low resources and unaffordable rent for residents who have lived in the state for years. Crime, traffic and noise increases are among the complaints of current residents who struggle to maintain their once peaceful life. Brandon Hughes is CEO of Cut & Couple, a hose fabrication company that can ship bulk product from warehouses throughout the United States and custom fabricated assemblies from the company’s Ohio facility.